1 – What’s one thing you have implemented in your business that you would encourage other manufacturers to embrace and implement? Regular strategic reviews to ensure that the company is always on the correct path and reacting to changes in the market and customer requirements. 2 – What is your proudest career achievement so far? As we work for large OEMs in the early engineering phases of engine and vehicle projects, we generally cannot talk openly about our achievements due to confidentiality. But it is always very satisfying to see the finished production vehicles out on the open roads and hearing positive comments from the public and media. 3 – What drove you to pursue a career in manufacturing and how old were you? 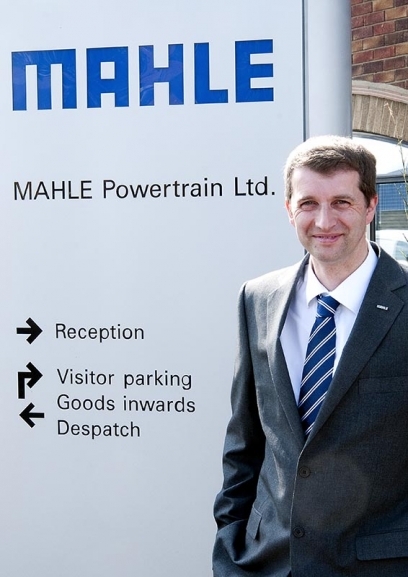 That I was able to move MAHLE Powertrain (and the automotive industry) forward in the UK and put the business on an even stronger footing in preparation for a challenging future using new techniques. 5 – If you were prime minister, what would be the first thing you would change or improve for manufacturers? Focusing on the automotive space, I would want to send some clear messages to consumers regarding appropriate engine and vehicle technologies for the future. There would be a particular focus on dispelling popular myths and a clear direction regarding technologies to help vehicle and engine manufacturing in the UK. I would also look at incentivising engineering courses at University to encourage more students into this area where we have shortages in industry. For both manufacturing and engineering sectors, we should engage young people as early as possible. MAHLE Powertrain is involved in many programmes to encourage children to pursue these careers by developing genuine interest during their school years, especially in STEM subjects. Using familiar end products is a very effective tool to get children interested in the subject. 7 – What is your morning routine once you arrive at the factory/office, does this depend on the day of the week it is? At MAHLE Powertrain, we tend to have all of our regular business and project reviews on a Monday so this is quite fixed. The rest of the week varies depending on project and customer demands. Being customer focused, it is likely to require attendance at external meetings which may be in the UK or involve travel to China, Germany, etc as we work in a global environment now. 8 – What one thing would you change to make your business more efficient and productive if money was no object? More automation of engine and vehicle testing. This is already an area of significant investment and focus for us and I would like to see more of this as it utilises expensive hardware more efficiently and delivers results more quickly to our customers. 9 – What’s the best piece of advice you have ever been given? Don’t assume anything! Collect reliable data and then make fact based decisions. 10 – What is your view on post-Brexit Britain – positive, negative or indifferent and why? As a company which operates in all global markets, we are aiming to continue as we are. The current uncertainty is not helpful for inward investment and there is some concern that Brexit will make trading with Europe more difficult. As a country, the UK needs to be positive and position ourselves as a strong global partner for the future.